Soon, Kat’s friend and former co-conspirator, Hale, appears out of nowhere to bring Kat back into the world she tried so hard to escape. But he has a good reason: a powerful mobster has been robbed of his priceless art collection and wants to retrieve it. Only a master thief could have pulled this job, and Kat’s father isn’t just on the suspect list, he is the list. Caught between Interpol and a far more deadly enemy, Kat’s dad needs her help. For Kat, there is only one solution: track down the paintings and steal them back. So what if it’s a spectacularly impossible job? She’s got two weeks, a teenage crew, and hopefully just enough talent to pull off the biggest heist in her family’s history–and, with any luck, steal her life back along the way. I never realized that I really liked con stories until I am already right in the middle of reading or watching them. Case in point: I wasn’t sure if I would enjoy watching Fast & the Furious 5 when my friend invited me to watch it with her, until I saw the big job they were attempting to pull in the movie and I enjoyed the entire thing immensely. Con stories are so smart and cunning…and now that makes me wonder why I’ve only watched only one Oceans movie? 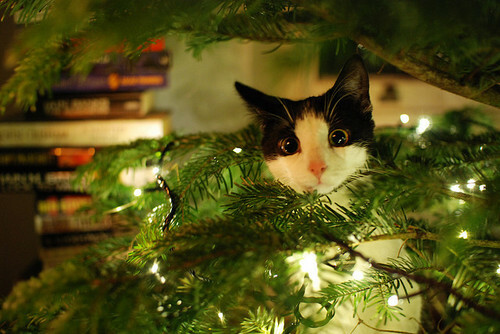 :o Gasp. I must remedy that. But I digress. I’ve had Heist Societyby Ally Carter in my radar for a while because of all the fun things I’ve heard about it, but I never got a copy because I always believed someone will get it for me for Christmas or my birthday. My wish finally came true last Christmas thanks to Maria, and I picked the book up after I was trying to get over the hangover from Life of Pi. 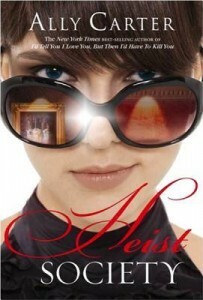 We meet Katarina Bishop in Heist Society, a fifteen year old girl who came from a family of thieves. But Kat is “retired”, and she has left her family to lead a normal life, after conning her way into a prestigious boarding school. Then Kat’s friend, Hale, gets her out of the school because her family needs her help — a powerful mobster who lost rare art from his collection is after her dad, the only suspect in his list. Kat must find a way to save her dad, even if it means going back to the life she left. How? By stealing the paintings back, of course. Oh so fun. I had so much fun with this book that I didn’t want it to end when I was done. Or at least, that I had the next books with me immediately. Heist Society had all the elements of a book that I enjoyed — a fun premise, just the right amount of danger, real characters with fun banter all wrapped in a light and fast read. The con is not too complicated to require that much thinking power, and I liked how everything came together as Kat and Hale went from one place to another and formed their little group of bandits until they finally pulled everything together. There was that fun element of suspense that I like in con stories, where you think everything is going to fall apart but it was really going as planned. Add the Bishop family dynamics and you’ve got a book you’ll really like up to the last page.